A personal project of experimental typography. Can't wait for the movie to come out! Anne Lee is a Minneapolis native gone coastal! She is a Junior Graphic Design Major at the Maryland Institute College of Art (MICA) in Baltimore, MD. 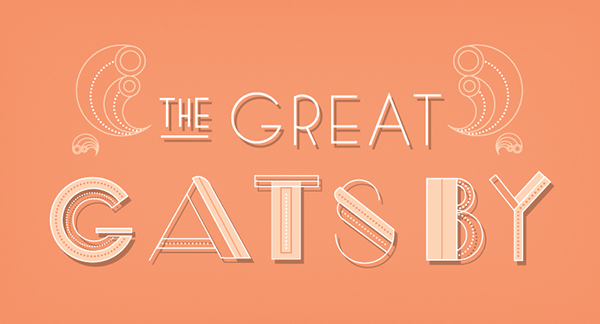 Experimental typography inspired by 'The Great Gatsby' and art deco.